Scientists from the University of East Anglia have discovered a unique oil eating bacteria in the deepest part of the Earth’s oceans – the Mariana Trench. “We know more about Mars than the deepest part of the ocean,” said Prof Xiao-Hua Zhang of the Ocean University in China, who led the study. Dr Jonathan Todd, from UEA’s School of Biological Sciences, said: “Our research team went down to collect samples of the microbial population at the deepest part of the Mariana Trench – some 11,000 metres down. 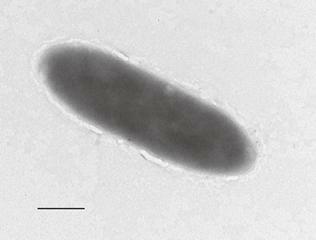 We studied the samples that were brought back and identified a new group of hydrocarbon degrading bacteria. “Hydrocarbons are organic compounds that are made of only hydrogen and carbon atoms, and they are found in many places, including crude oil and natural gas. In order to understand the source of the hydrocarbons ‘feeding’ this bacteria, the team analysed samples of sea water taken at the surface, and all the way down a column of water to the sediment at the bottom of the trench. Dr Nikolai Pedentchouk, from UEA’s School of Environmental Sciences, said: “We found that hydrocarbons exist as deep as 6,000 meters below the surface of the ocean and probably even deeper. A significant proportion of them probably derived from ocean surface pollution. Dr David Lea-Smith, from UEA’s School of Biological Sciences, said: “These hydrocarbons may help microbes survive the crushing pressure at the bottom of the Mariana Trench, which is equal to 1,091 kilograms pressed against a fingernail. “Identifying the microbes that produce these hydrocarbons is one of our top priorities, as is understanding the quantity of hydrocarbons released by human activity into this isolated environment,” added Prof Xiao-Hua Zhang. ‘Proliferation of hydrocarbon degrading microbes at the bottom of the Mariana Trench’ is published in the journal Microbiome on April 12, 2019.